1567-1635. Between 1603 and 1635, Champlain made 12 voyages to what was to become Canada, establishing it as a French colony, founding Quebec, and exploring up the St. Lawrence River to the Great Lakes. c.1585-c.1612. English ship captain and explorer, and student of mathematics, navigation and ship building. In 1602 he led an unsuccessful voyage in search of the Northwest Passage, exploring the area between Greenland and Labrador. After returning he wrote "The Jewell of Artes" a manuscript on navigation, shipbuilding and fortification presented to King James I. Using the sun, moon, stars, and planets to find your location.. Magnetic marine compasses have the magnets fastened to a circular card which has the directions on it. Traditionally compasses were marked in points of 11 1/4 at every 11 1/4 degrees. The whole card rotates and a mark on the compass housing called a lubber line indicates direction. Magnetic north is one of two points on the globe where the line of total magnetic force is vertical and towards which the magnetic needle points in all adjoining regions. Variation (also called magnetic declination) is the difference in direction between true north as determined by the earth's axis of rotation and magnetic north as determined by the earth's magnetism. The direction of the North Pole from any place on the earth's surface, through which all meridians of longitude pass on maps and charts. Read More changed. On future trips he used this to predict, roughly, his arrival in America. Device used in the past on sailing vessels for measuring the rate of speed of the vessel. 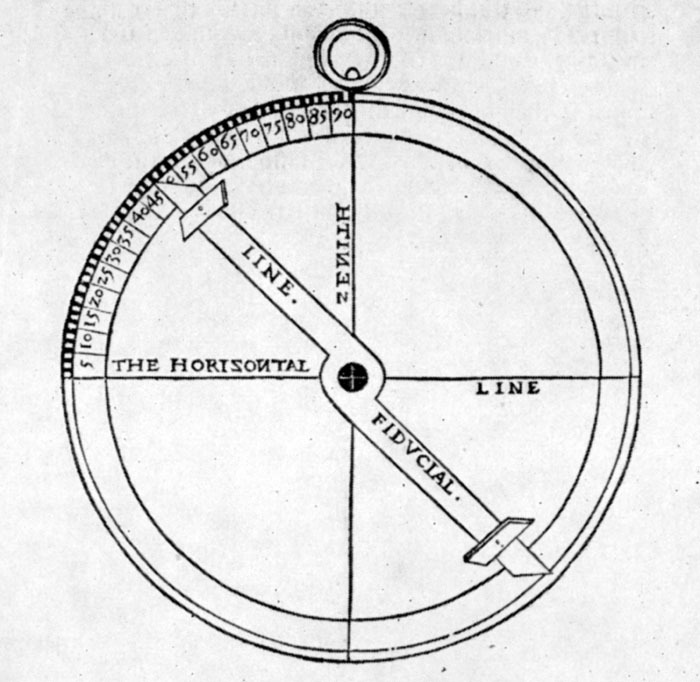 A quarter circle quadrant of wood, or "chip," fastened to a line, was allowed to run out over the stern, and the amount of line run was measured in time with a half minute sand glass. The sand glass replaced counting the seconds. 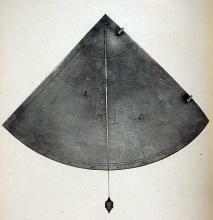 A means of measuring time on board ship before the development of reliable clocks for ships. Two vacuum globes connected by a narrow neck, allowing sand to run from the top globe into the bottom one in a given period of time. Read More, navigators could see how fast the vessel was going by counting how many knots rolled out before the sandglass expired. Before the chip log, navigators estimated speed by timing how long a chip of wood in the water would take to pass from bow to stern. A means of finding the depth of water near coasts and probably the earliest device used by coastal navigators to facilitate safe navigation. It consists of a hemp line with a lead weight attached (about 7 pounds). A large shallow area, rich in fish, located in the North Atlantic off Newfoundland. Read More and other fishing grounds. The traverse board is used to keep track of changes in a vessel's speed or course over the course of a four-hour watch. Read More. 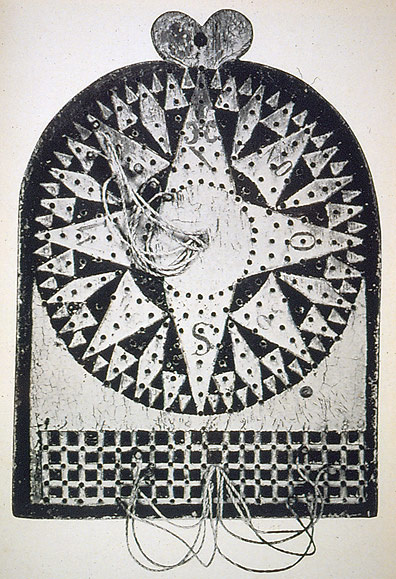 The board had a line of holes radiating from the center towards each of the 32 compass points. Sailors inserted pegs in the holes to show the vessel’s course and speed each half hour. The navigator then used traverse tables to add these and give an average course for a four hour watch. This result then was entered into a logbook along with information about the weather, changes in sails, and items concerning the crew. 1561-1615. English mathematician and cartographer. 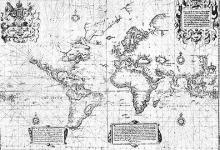 Edward Wright's world map of 1599, published in 1600, coupled with his 1599 book "Certaine Errors in Navigation" corrected errors in Mercator's projections so that rhumb lines appear as straight lines. Straight line compass course between two points on a Mercator chart. Formally a line of constant bearing that crosses all meridians at the same angle which displays as a straight line on a Mercator chart but as a spiral on a globe. This sprial line is called a loxodrome. between two points, get a bearing and sail that line. c.1534-1606. Dutch pilot and cartographer. 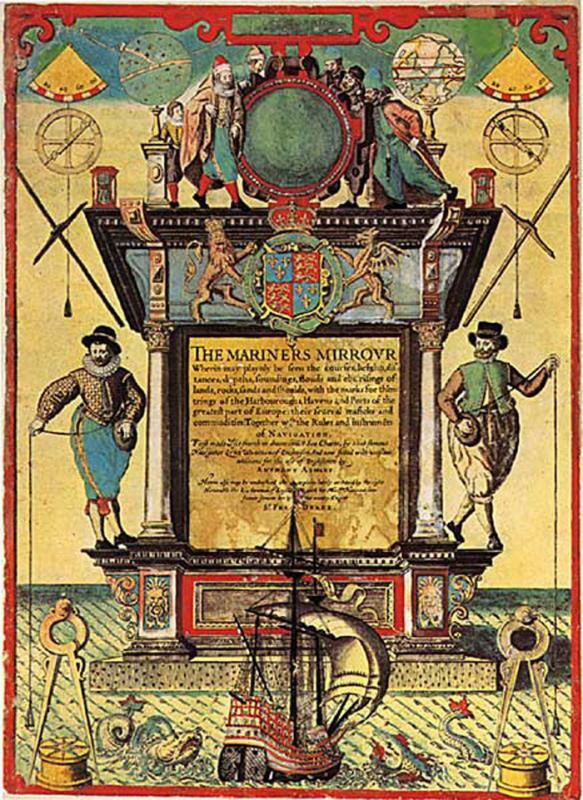 Based on 25 years of experience as a pilot and opportunities to examine numerous rutters and manuscript charts he was able to compile the first effective set of navigational charts published 1584-85 under the title Spiegel der Zeevaerdt or Mirror of the Sea. English sea atlas published from 1671 to 1803, initially by John Seller who was appointed Royal Hydrographer in 1671. These were intended as working charts. 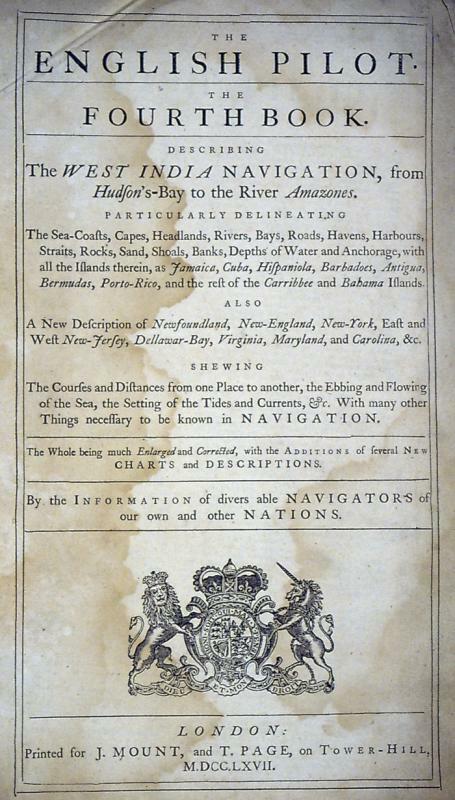 The Fourth Book, first issued in 1689 covered North America and Canada. appeared, based mostly on Dutch sources. These covered Europe, the Far East, and North America. The direction of the South Pole from any place on the earth's surface, through which all meridians of longitude pass on maps and charts. 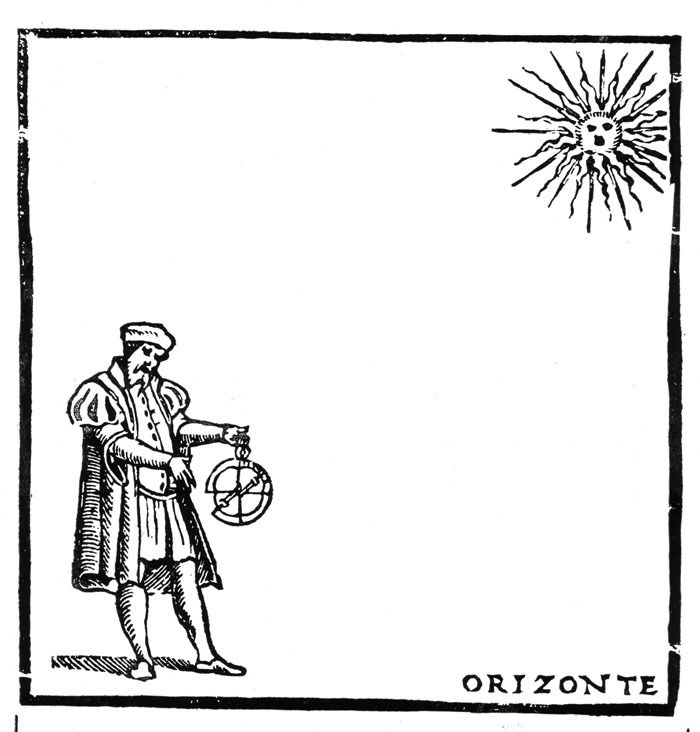 It is the direction that the sun is from the observer at local noon or when the sun is highest in the sky.. The seaman's astrolabe is a graduated ring or disc fitted with a sighting rule pivoted at the center. Read More. It is a disc with degrees and a movable arm with sights, first known to be at sea about 1481. 1394-1460. Henry, Prince of Portugal, took the name Navigator because of his patronage of a succession of Portuguese seafarers who explored the Atlantic islands off Portugal and down the African coast, ultimately rounding the Cape of Good Hope. 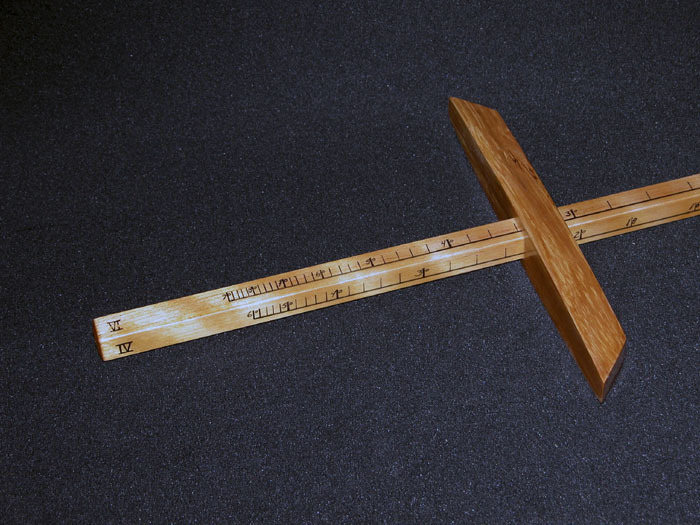 Early navigational device for measuring altitudes of heavenly bodies, also called a fore-staff, based on an Arab instrument called a Kamel. Read More to sea about 1515. It has two parts: a long graduated staff and a sliding crosspiece. 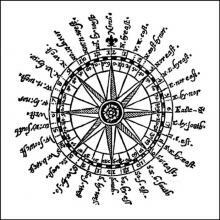 The navigator holds one end of the staff near his eye, where both the sun and horizon may be sighted, and then moves the crosspiece along the staff until one end is lined up with the horizon and the other with the sun or star. The angle is read from the scale on the staff. 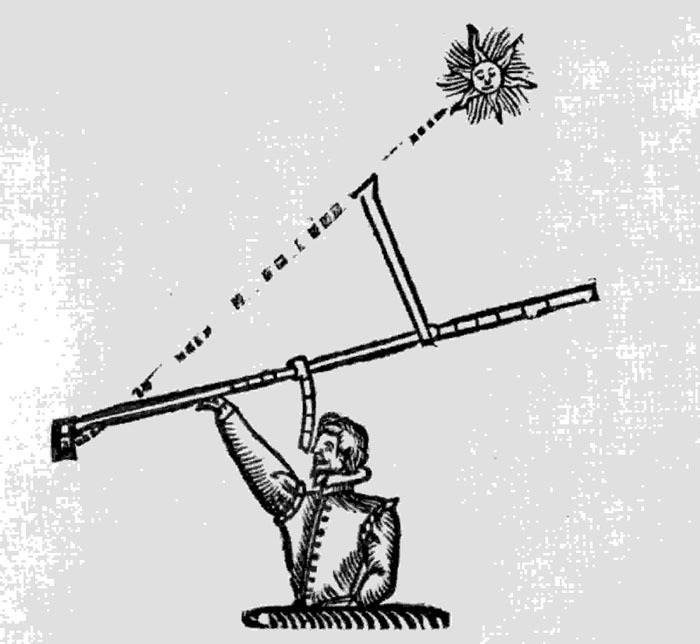 The cross staff required the navigator to look directly into the sun, almost impossible in bright sunlight. But it could be used when the ship was moving, and it was simple and relatively inexpensive. 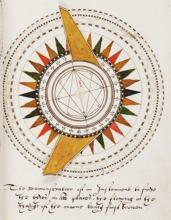 A navigational instrument for measuring the altitude of the sun, introduced in the 16th century. c.1550-1605. English navigator and explorer. In 1585, started his first expedition to search for a Northwest Passage around the top of North America to the Orient. Read More about 1594 and published in his Seaman’s Secrets in 1595. With it a navigator could measure angles accurately without looking directly at the sun. 1. Rotating device which is used to indicate direction of wind. Also called wind or weather vanes. 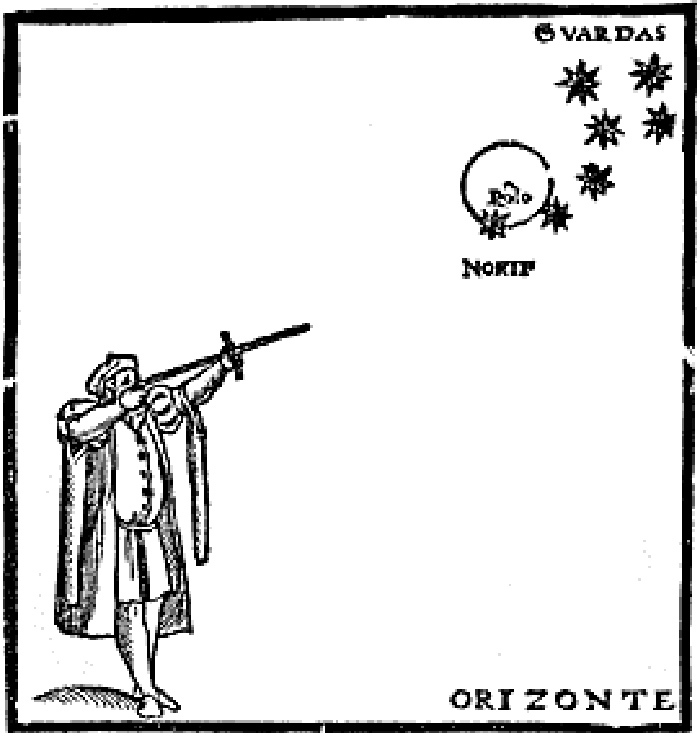 Altitude observations of the Sun needed for celestial navigation. "Sights" generally refers to taking a sun sight, but means also taking star sights at night..
A device that measures time by the position of the sun. Known from Ancient Egypt. 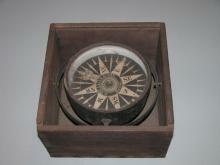 For navigation special ones were developed that could tell local noon on board ship. could be used in daylight. 1581-1626. English mathematician who published trigonometric tables in 1620 with logarithms. Read More, navigators with little mathematical training could solve trigonometric navigational problems. 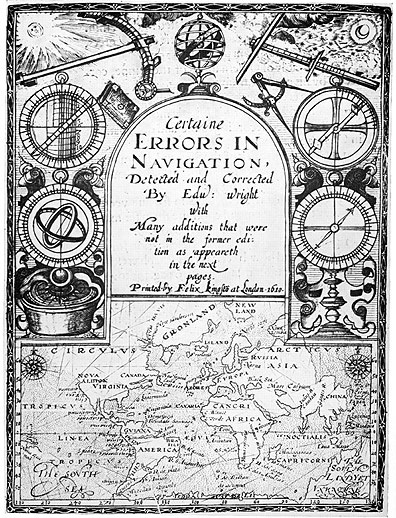 By the end of the seventeenth century, navigators were able to tell time within a quarter of an hour and find their latitude within a few miles. Despite their relatively simple instruments, these mariners sailed the globe.